Wordshark is an extremely extensive, flexible tool with something in it for everyone. Equally, the basics of how to use Wordshark, can be described in 4 steps! As the teacher or parent in charge you are called the ‘administrator’ and can set up other administrators or students by clicking on ‘admin’. 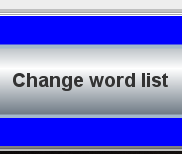 Click on ‘change word list’ to choose your list. 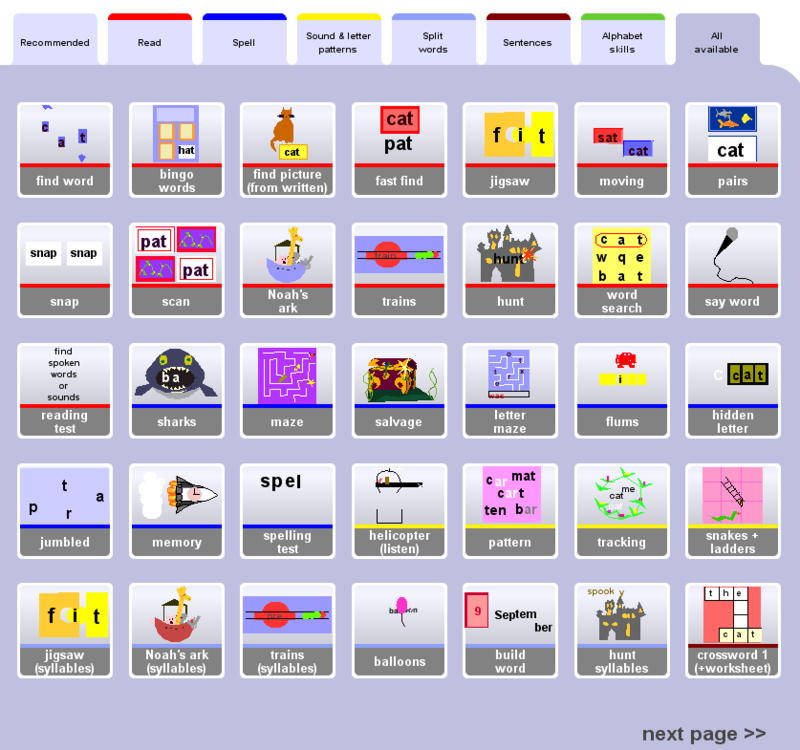 You can go into the ‘courses’ such as ‘National Curriculum’ or you can use the ‘search’ facility to find a word, letter pattern or topic. 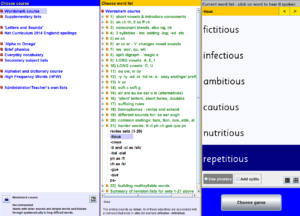 You can either ‘dip’ into Wordshark to work on a specific word list, or you can make your way through a whole course, starting at the top (or whichever starting point is relevant). Click on ‘choose game’ to see the games. They’re grouped into tabs, for example, ‘Spell’. The best suggestion is to use the ‘Recommended’ tab which gives you a nice range of games – each helping to reinforce the words in a different way. 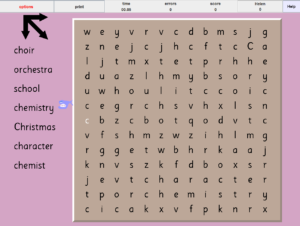 It also gives you the most relevant games for the words you have chosen. Play the game, and after that enjoy the short ‘reward’ game! Then pick another game. When you’ve learned the words, choose a new list from the 10,000-word database, or you can add your own words.